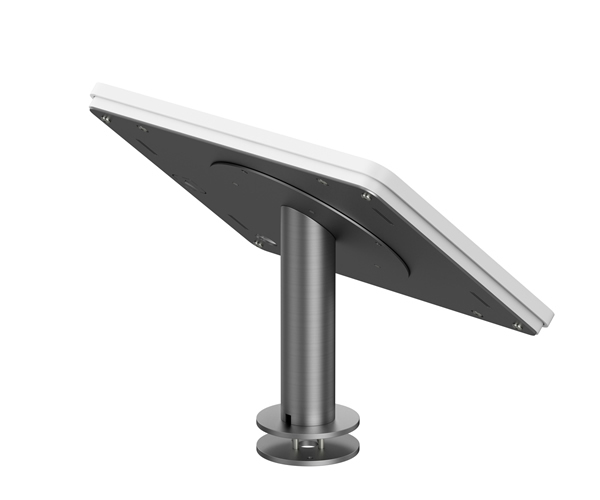 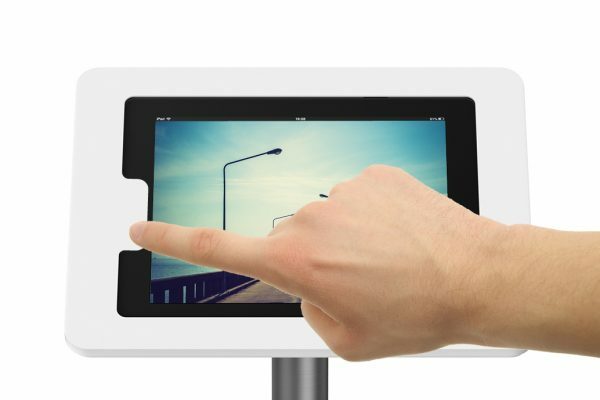 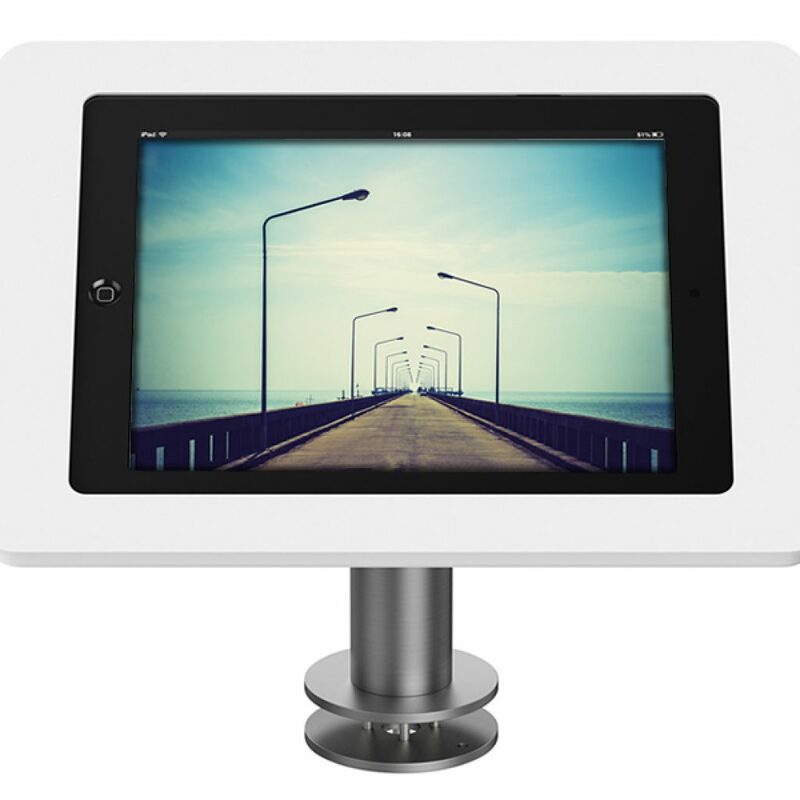 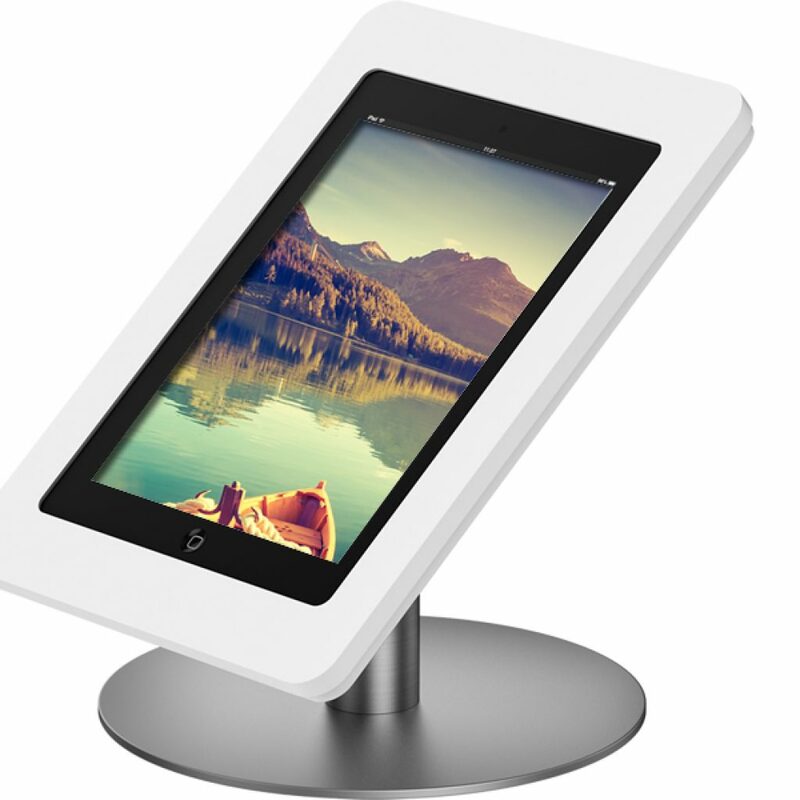 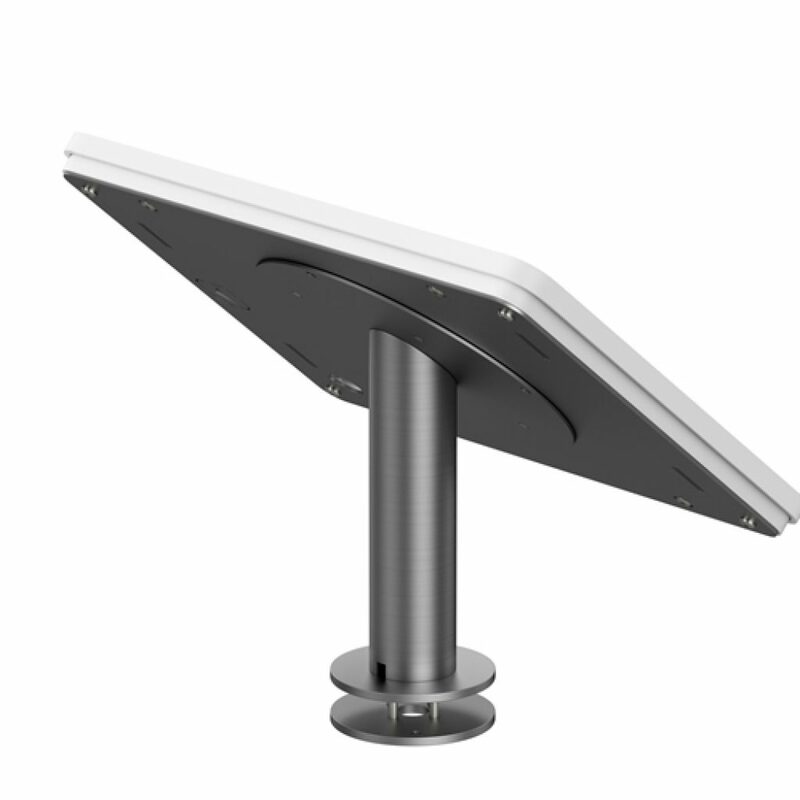 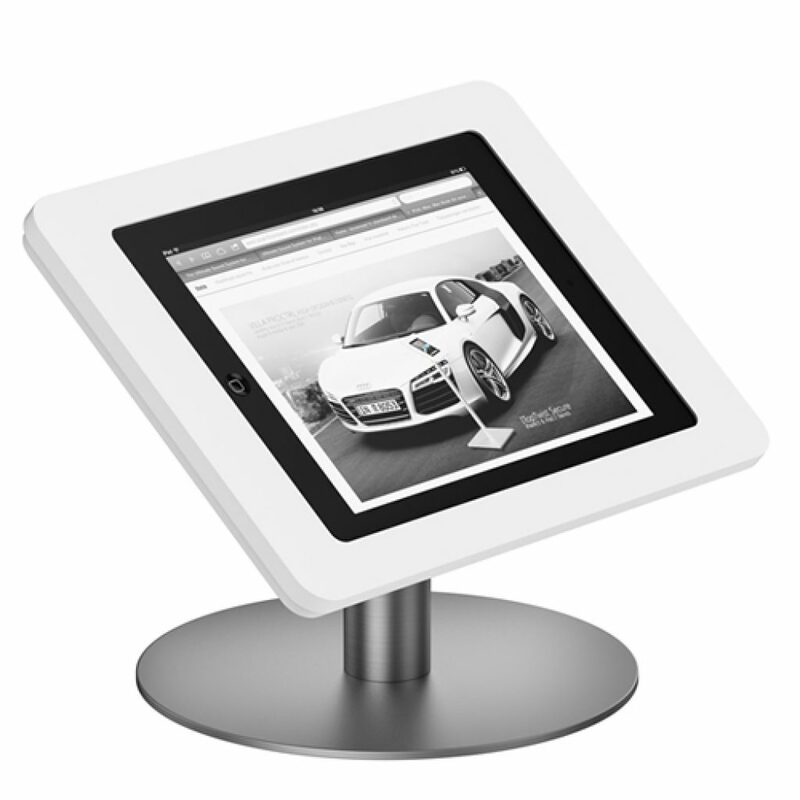 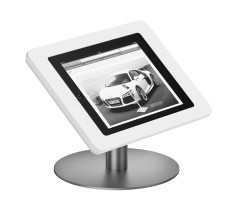 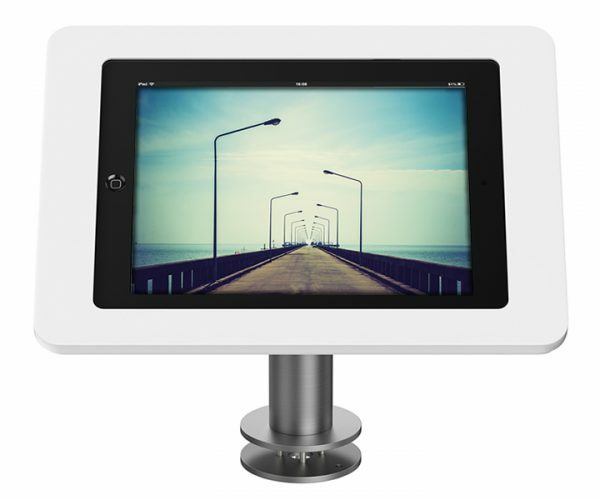 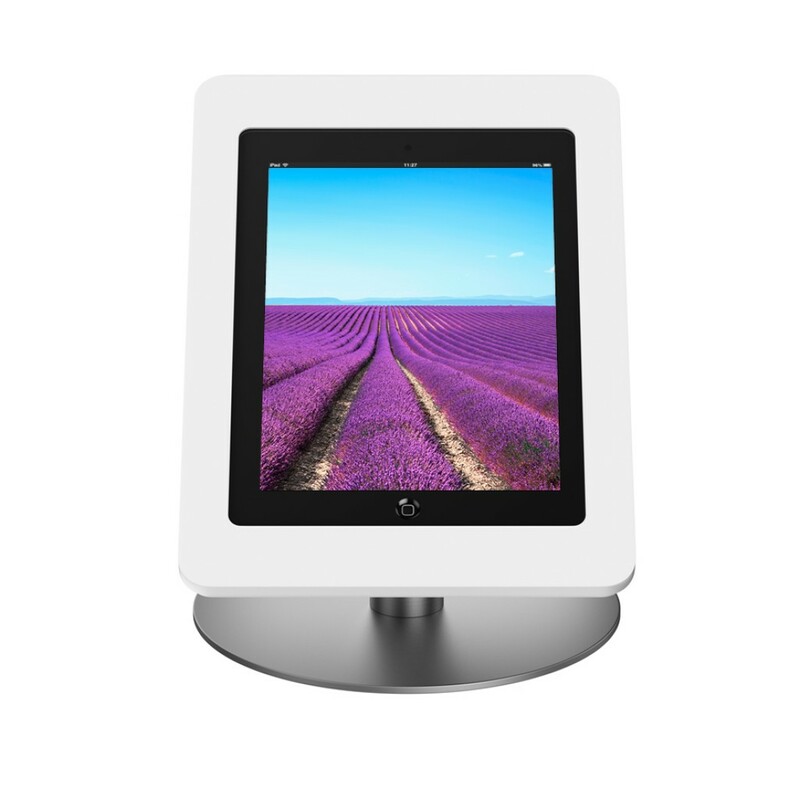 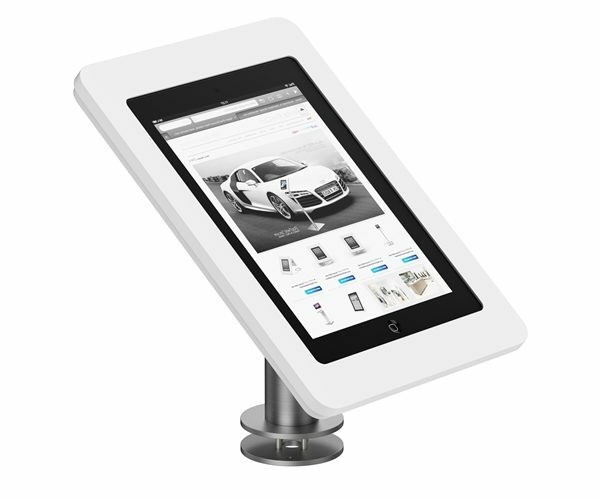 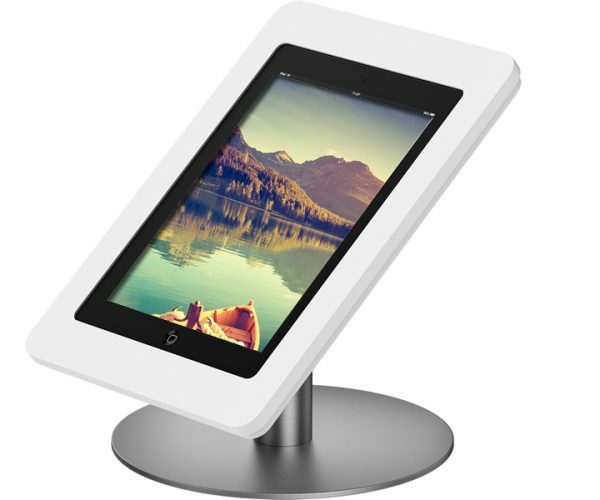 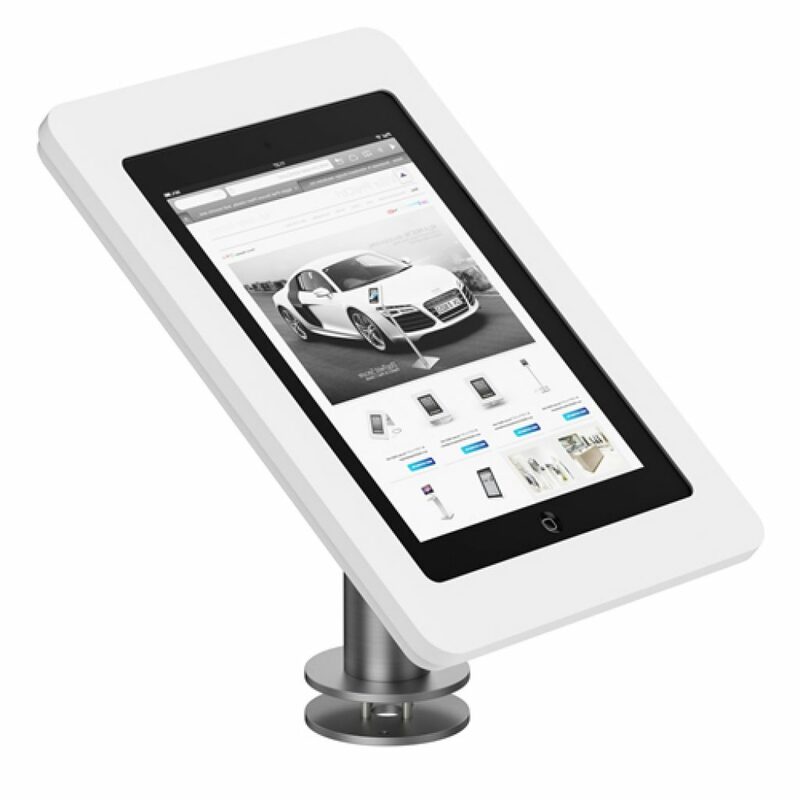 Ideal for desks, receptions and information centres. 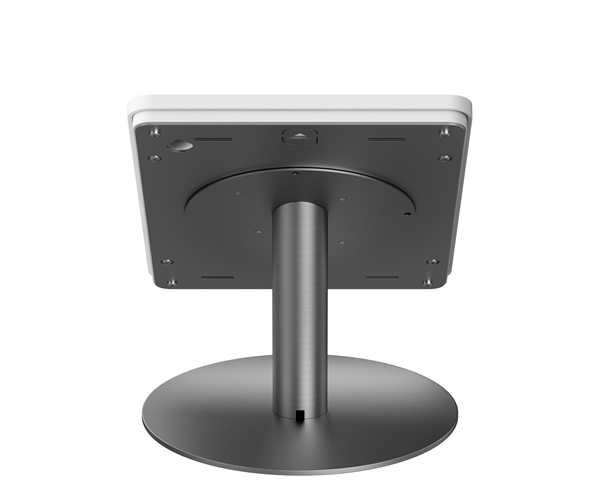 Available in 2 basic versions! 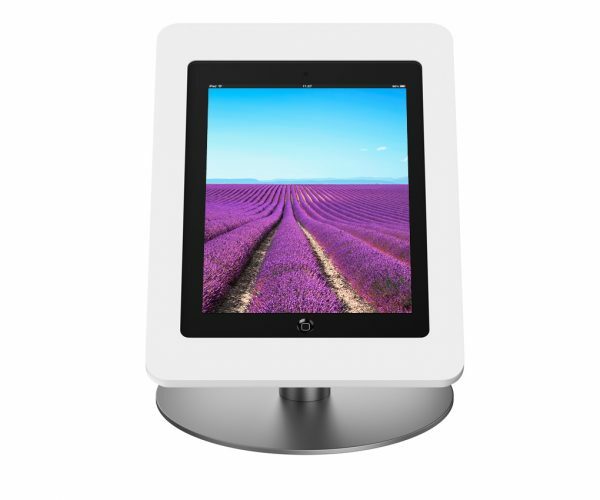 With a large base plate suitable for placing on a table or desk. 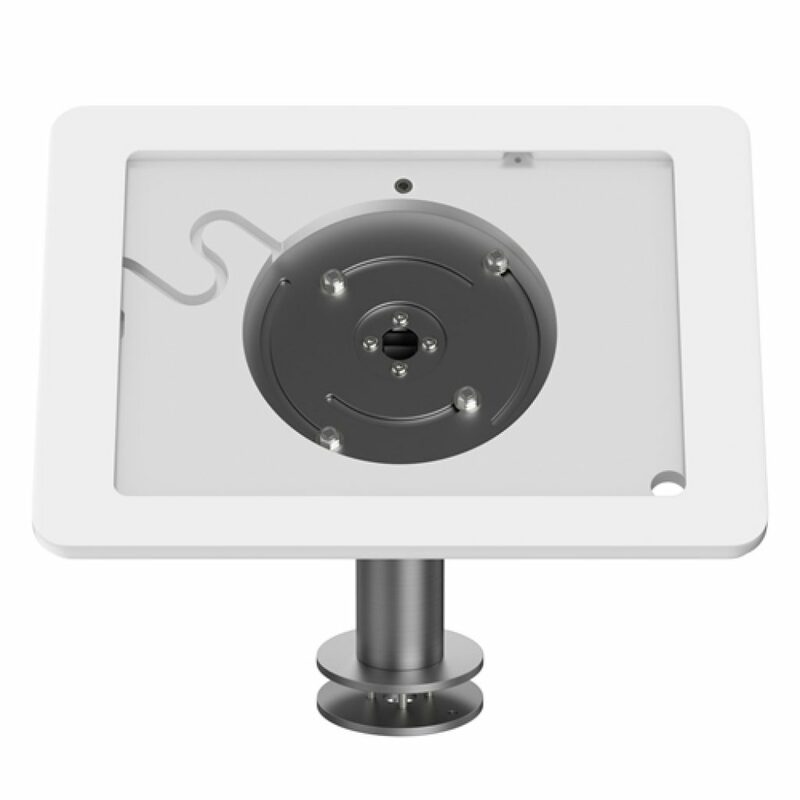 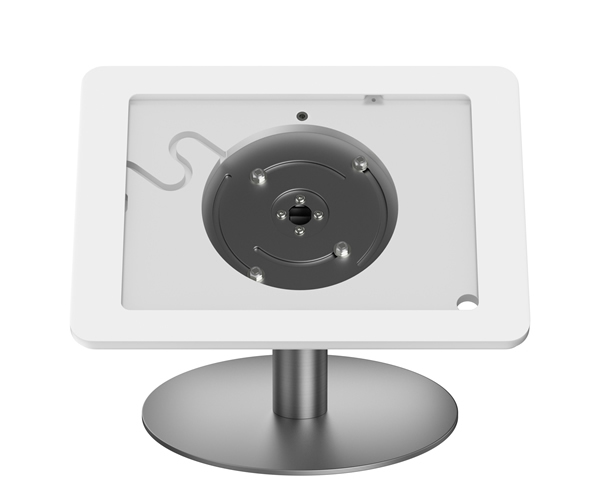 With a small base plate for anti-theft mounting with bolts through the tabletop. 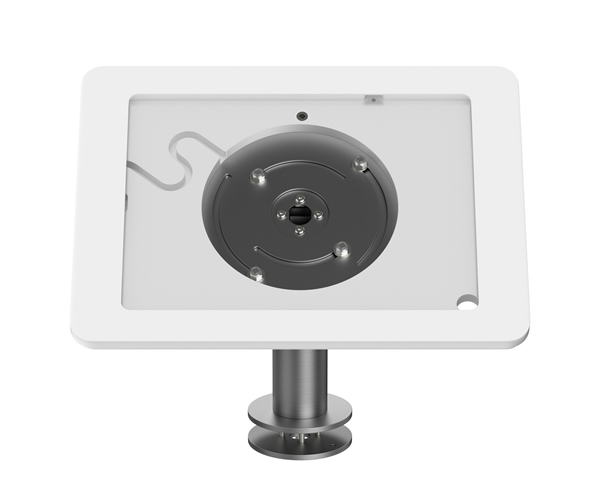 To protect your settings and applications, the iTop Twist is available with hardware supply to cover the home button. 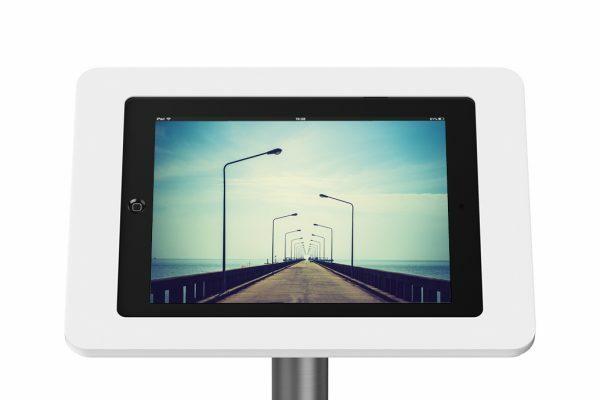 The iPad software settings now also offers an option to disable use of the home button..
specifications and manuals click here.